Before restorative dental work, including the placement of implants for either a single restoration or a mouthful, most patients will require a simple, in office, bone graft. If one of our oral surgeons has determined that this is necessary following an evaluation, we will provide further details pertinent to your situation. At Dailley Dental Care in Berkeley CA, we can help you rebuild lost bone and prepare your jaw for dental restoration. After a tooth is lost, the bone can have some level of atrophy or is reabsorption. Because of this, the jaw is no longer substantial enough to support the placement of a tooth implant. If we determine that your bone is unsubstantial, then without a bone graft, the patient would not be considered a candidate for the placement of an implant. We strive to start our patients on a path to success, by taking the time for preparation, we can achieve that. Though it sounds serious, and maybe scary, the ability to grow bone is possible and requires a very simple procedure that is done in the office and is minimally uncomfortable. Growing bone is done through a bone graft, with a bone graft, we can then place implants the proper length and width. We can place bone particles from one of three sources to do this: synthetic bone, processed sourced bone, or directly from the patient. With healing, new bone will have been established. This step allows us to restore the patient’s functionality and aesthetics. In some situations, larger bone grafting is necessary. This may be due to repair defects of the jaws from traumatic injuries, tumor surgery, or congenital defects. At , we can make those larger repairs, restoring function and aesthetics that may be causing frustration. For major bone grafting, the bone is obtained from your own body. We can take bone from multiple sites depending on the amount of bone needed. The patient’s cranium, jaw, hip or tibia to make the necessary repairs. In some situations, we can perform sinus bone grafts to replace bone in the posterior upper jaw. Guided bone or tissue regeneration is the additional step of placing special membranes to protect and encourage bone regeneration. Major bone grafts are performed in an operating room and require a hospital stay. 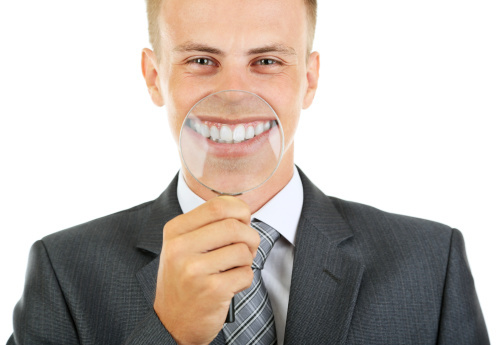 One of our dentists will go through this process with you if it is determined necessary. Sometimes it is necessary to repair the gum tissue in the mouth with a procedure known as soft tissue grafting or ridge augmentation. For this process, we will use donor skin that we retrieve (usually from another area of your body, to fill in the gum line to make it look more natural. Do you have questions about bone grafting? Are you ready to schedule your appointment at our Berkeley, CA dental office? Give us a call at (510) 883-3454 today! Our front office is here to assist you in scheduling appointments and in finding answers to your questions concerning bone grafts before the placement of dental implants. Schedule an appointment today with one of our oral surgeons for more information: Contact us at: (510) 883-3454 for more information.